The recipients, including five Maori and Pasifika candidates, and five Women in Construction candidates, will now embark on the journey to complete Site Safe’s most advanced health and safety qualification, the New Zealand Certificate in Workplace Health and Safety Practice (Level 3). Site Safe Chief Executive Brett Murray says it was “exciting” to be able to provide the recipients with this unique opportunity to develop their health and safety knowledge. “Investing in people is something we really believe in at Site Safe,” he insists. “These scholarships will give sixteen people the chance to expand their learning and gain an NZQA-recognised national certificate. The calibre of applicants was very high this year, Murray notes. “The applicants were all really strong and well supported by their employers. Dominion Constructors’ South Island Construction Director, Grant Thomas, says the company was proud to be Site Safe’s scholarship partner. 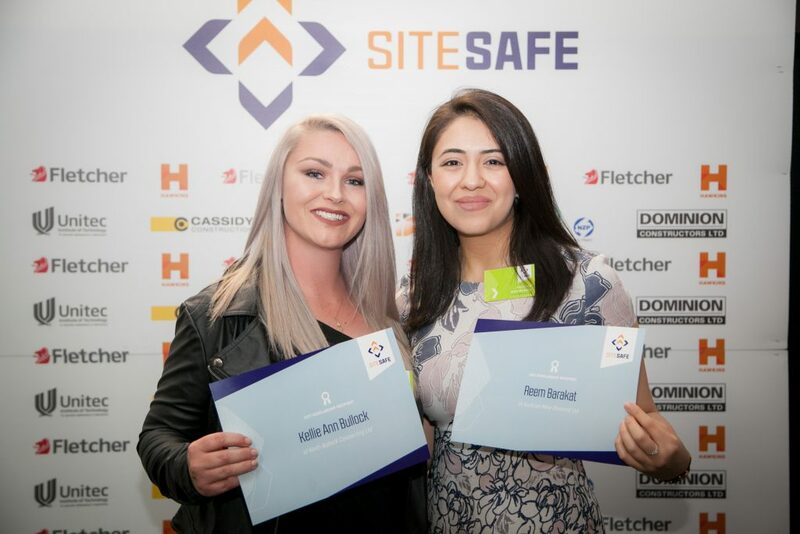 All scholarship recipients receive complimentary training towards the Health and Safety in Construction programme which leads to the award of the NZ Certificate in Workplace Health and Safety Practice Level 3, a dedicated Site Safe mentor to support them in their studies, and a complimentary ticket to Site Safe’s annual gala event upon graduation.